Ever had to rename a bunch of layers in After Effects just to keep them organized? Sometimes simply overwriting layer names isn’t enough, sometimes you need something more advanced such as replacing certain keywords or sequencing layers. 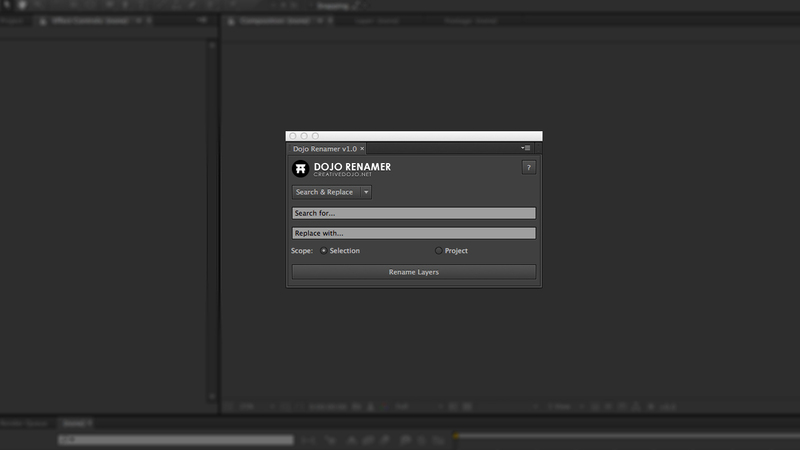 That’s where the Dojo Renamer script comes in, it makes organizing and renaming your layers easy. This script is a free script under the “Name Your Own Price” platform, so if you find this script useful, feel free to donate whatever amount you’d like. You can download Dojo Renamer and donate here. If you have any questions or want to suggest new features, feel free to let me know in the comments! I’m currently using AE Global Renamer but I will definitely be checking yours out. You’ve been really busy!